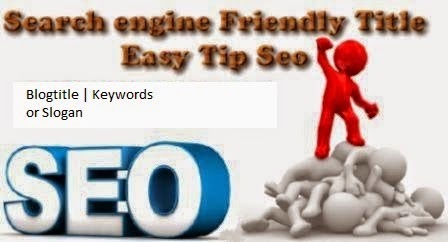 It has been a battle of Keyword rich domains on the internet but getting that super domain to help your site rank better on Search Engines is mostly likely to be not available, but today I have decided to share this great trick that will allow you to change the appearance of your blog to search Engines without affecting the appearance of your blog title in search engines. 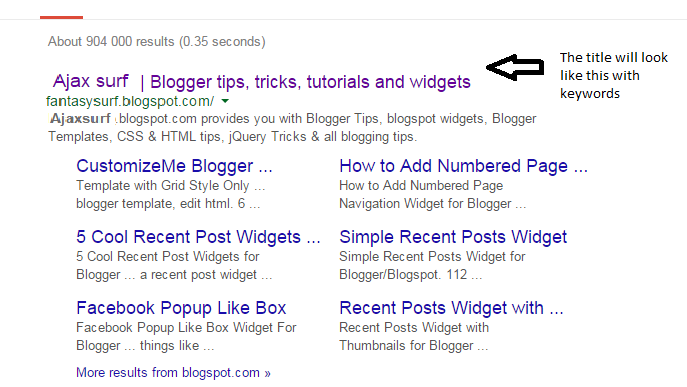 Basically your site is most likely to appear as seen below which bring you less search traffic. But after this trick your custom background blog title will include keywords which will cause your Blog to rank better on Search engines. Left click anywhere on your template text and press the 'CTRL' + 'F' keys on your keyboard to open your search box . Paste this code to your search box and press enter to search . It might take some time for changes to occur maybe a day or two and you will start getting the traffic from the title keywords but you can also check if the title keyword tool has been optimised correctly using this meta tag Analyser. if you have any questions or improvements to this tutorial please feel free to share them with us.